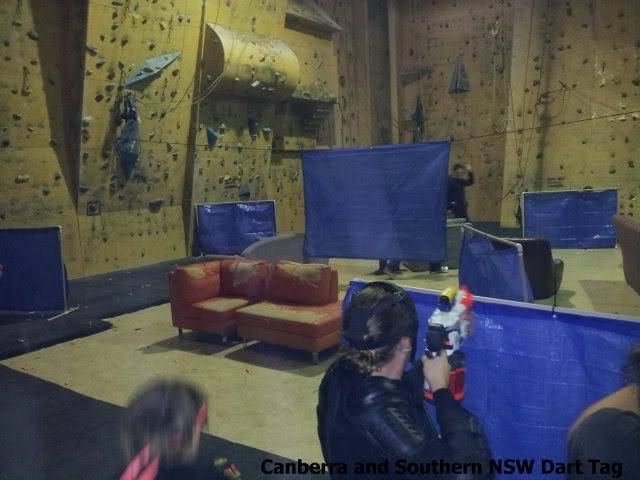 Canberra and Southern NSW Dart Tag and the Canberra Indoor Rock Climbing Centre are proud to present Canberra's first public indoor Nerf War. Whether you're an experienced blaster enthusiast or a first timer to the game, head out to Mitchell and experience something a little different for your Saturday evening. Live action gaming! All you need is a Nerf blaster and your $5 entry fee. 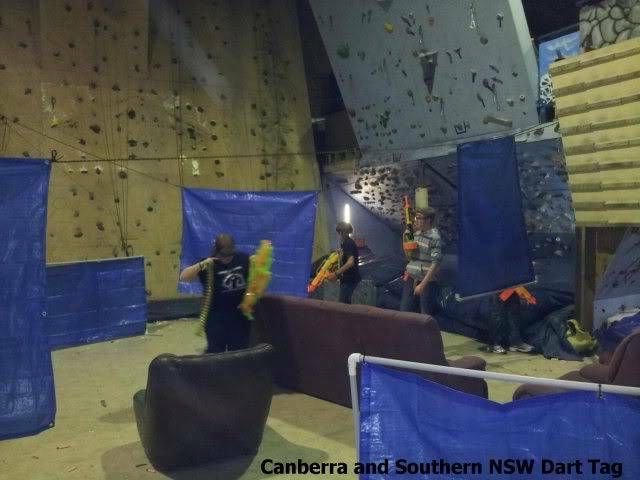 We will run through a variety of Nerf-on-Nerf game types throughout the evening. Expect the standard stuff like team elimination, capture the flag, assault, etc. 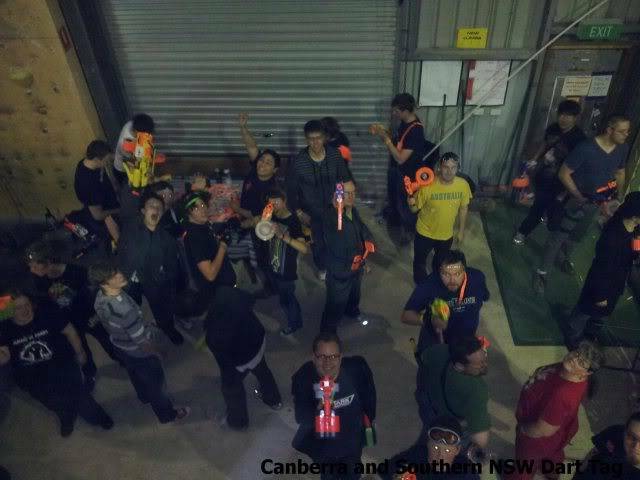 Being indoors we will also be able to try a few different games like Firefly only rounds, jerk sniper, etc. Blaster modifications are allowed (within reason - if you are unsure then ask). No military or realistic paint jobs on blasters. Black is definitely out. For regular players please note that there is a $5 cost associated with this game. We don't normally charge for our public games but there is understandably a venue hiring fee that we have to cover in this instance. We can assure you it will be worth it though. That was an awesome night. Really glad to see we gained at least one from here! I'll post some pictures up in the next few days. We had close to 50 people over the course of the evening so I spent more time organising than taking photos, but still got time to take a few.